Home / Uncategorized / Crying Boy: Rebirth of the Curse?? Crying Boy: Rebirth of the Curse?? 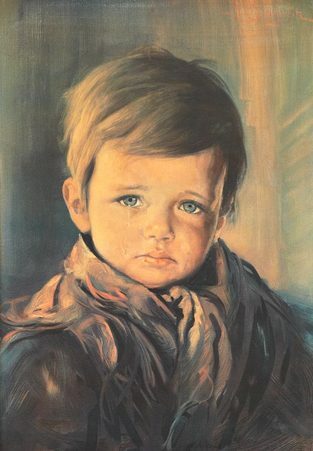 ​The Curse of the Crying Boy Painting started in Rotherham and it is coming back!! Will it be the rebirth of the Curse?? We are looking for anyone who would like to have the painting for a upcoming project we have, we will be doing a documentary regarding the history of it and about those who have chosen to study the painting and if any activity occured while it was in their prescene, Please give us a message if this interests you. Previous post: My First Ghost Encounter: Who was that Man?